Since 1990 Oakleaf Driveways Ltd have been installing bespoke entrance patterns to drives, patios and private properties. A decorative block paved entrance pattern adds that extra special detail to any driveway or drive. 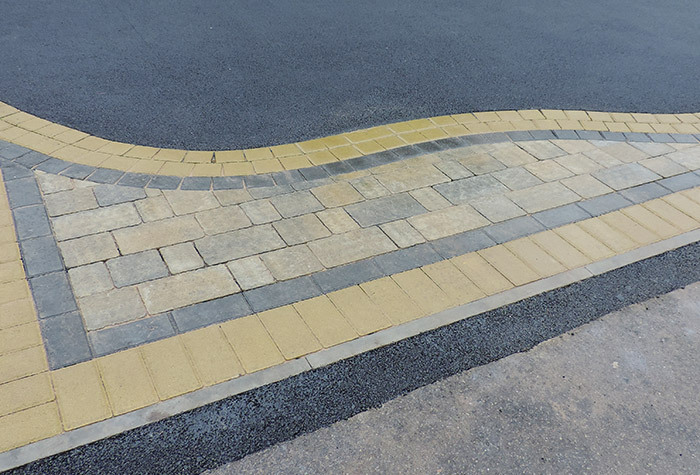 Whether your planning a tarmac, block or tumble paved drive, Birmingham based Oakleaf Driveways can help. We specialise in bespoke decorative entrance patterns. Bespoke Decorative Entrance Patterns our portfolio shows examples of our completed installations.